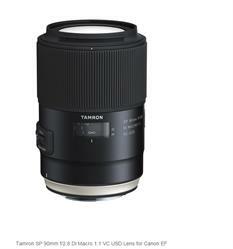 Optimized for close-up shooting, the SP 90mm f/2.8 Di Macro 1:1 VC USD Lens from Tamron is a short telephoto prime designed for full-frame Canon EF-mount DSLRs. 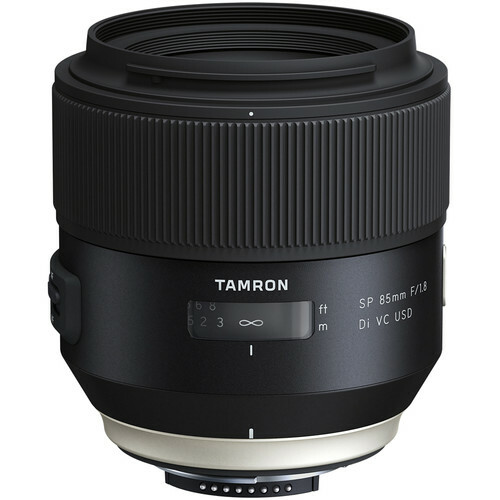 An ideal focal length for portraiture, the SP 85mm f/1.8 Di VC USD Lens from Tamron is a short-telephoto prime designed for FX-format Nikon F-mount DSLRs. Since our store opened more than 40 years ago, we've gone beyond simply supplying you with professional gear. We've aspired to share our knowledge of technology with you in the most personalized way. Visit our store, and you'll find a sales staff made up of industry professionals who share your passion for technology and will help you use it to its fullest potential. As you choose from over 200,000 products, feel free to enlist their help. Supporting the imaging attributes is Vibration Compensation image stabilization, which minimizes the appearance of camera shake by up to 3.5 stops for sharper handheld shooting. 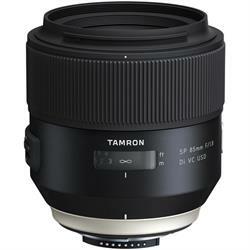 NEW YORK, NY--(Marketwired - February 23, 2016) - B&H Photo would like to share the announcement of the full-frame Tamron SP 85mm f/1.8 Di VC USD and SP 90mm f/2.8 Di VC USD 1:1 Macro lenses, as well as the TAP-in Console for the SP series of DSLR lenses. These lenses double the number of current offerings available in Tamron's high-resolution SP series, and add a couple telephoto options for two very different styles of shooting. The TAP-in Console expands the series in a different way, allowing users to customize different lens setting and features, and to update firmware without needing to send the lens in for professional service. 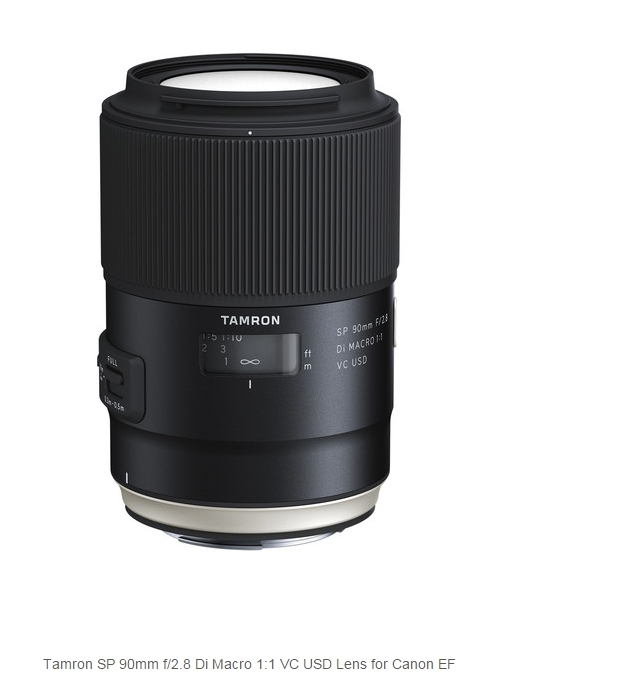 A focal-length first for Tamron, the SP 85mm f/1.8 Di VC USD is also the first fast 85mm for DSLRs that incorporates Vibration Compensation. This image stabilization system is rated for up to 3.5 stops, and benefits handheld shooting. The lens balances bokeh and resolution, ideal for portraits where photographers need to separate the subject from the background. It also uses a combination of Low Dispersion (LD) and Extra-Low Dispersion (XLD) glass to minimize color fringing, and has a nine-blade aperture diaphragm for smooth out-of-focus elements. Furthering performance is the use of both Extended Bandwidth & Angular Dependency (eBAND) and Broad-Band Anti-Reflection (BBAR) coatings to combat flare and ghosting. This 85mm leverages the speed and accuracy of a ring-type Ultrasonic Silent Drive (USD) motor, as well as full-time manual focus override for precise, fast focusing. Additionally, it has a dust- and moisture-resistant construction, as well as a fluorine coating on the front element, and the Nikon version is now equipped with an electromagnetic diaphragm system for reliability. It will be available in Canon EF, Nikon F, and Sony A mounts. A rebirth of a classic, the SP 90mm f/2.8 Di VC USD 1:1 Macro takes the legendary optical performance of its predecessor, and optimizes performance with the latest in imaging technology. The image stabilization system has been boosted with an accelerometer than can compensate for shake on the X-Y axis up to 3.5 stops. Also, the optical design features an LD and two XLD elements, and it uses eBAND and BBAR coatings to maximize contrast and clarity. Focusing has been improved with a USD motor optimized for macro ranges, as well as slight back-and-forth motion common during close-up shooting. There is also a Floating Lens group that moves position to maximize optical performance, and the lens offers full-time manual override. This enables focusing down to 11.8" for true 1:1 magnification. Additionally, the lens has a dust- and moisture-resistant construction with a fluorine coating on the front element, and it has a nine-blade aperture diaphragm for smooth out-of-focus elements. The 90mm Macro will be available in Canon EF, Nikon F, and Sony A mounts. Giving users advanced control over the lenses after purchase is the TAP-in Console, available in Canon EF, Nikon F, and Sony A mounts. This allows customers to connect their lens to a computer and use Tamron's Utility Software to update firmware, and to make adjustments to many lens features. This includes the ability to tweak AF micro adjustment, program the focus limiter and full-time MF function, and set up the Vibration Compensation system. It is currently compatible with all SP series prime lenses, including the just announced 85mm f/1.8 and 90mm Macro, as well as the existing 35mm f/1.8 and 45mm f/1.8. 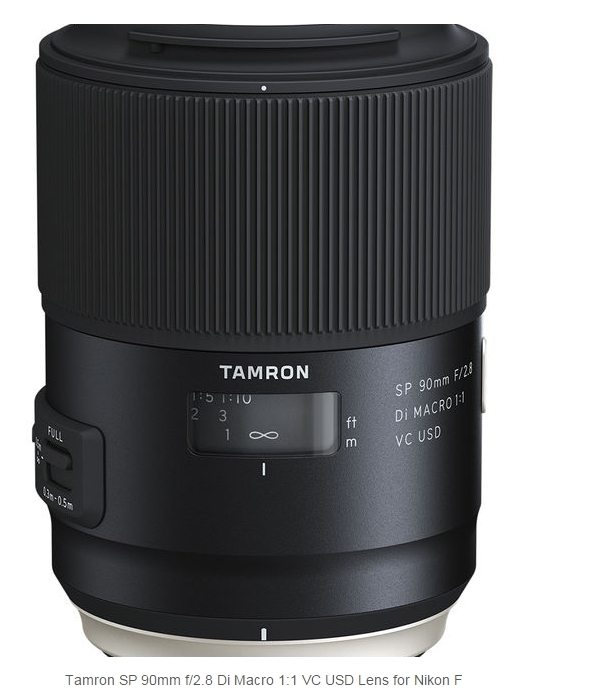 B&H Photo Video is an authorized Tamron dealer, with the most up-to-date Tamron product information, product pricing and promotional offers. When you're in Manhattan, take a tour of the B&H Photography SuperStore, located at 420 Ninth Avenue. The expo continues all year round at B&H, in the camera kiosks. Featuring the newest cameras, the kiosks are manned by manufacturer representatives, who are there to guide you and demonstrate the latest photographic technology. With hundreds of products on display, the B&H Photo SuperStore is the place to test-drive and compare all the latest photography gear.